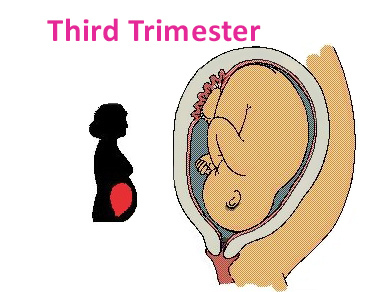 The first trimester is from conception to the 13th week. This is when you will notice the first symptoms and possibly feel a variety of unpleasant but temporary conditions like morning sickness and exhaustion. Generally, the side effects will pass by the time you end your first trimester and your body has adjusted to the rapid changes to your body. 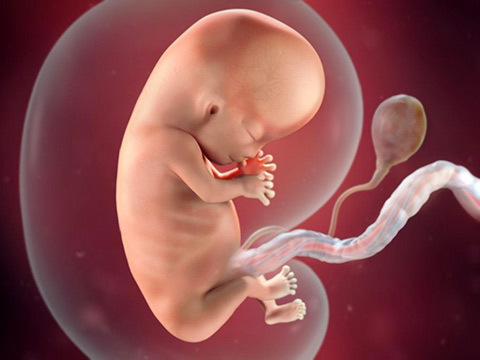 During the first trimester and up to the sixth week, the miracle growing inside your body is called an Embryo. 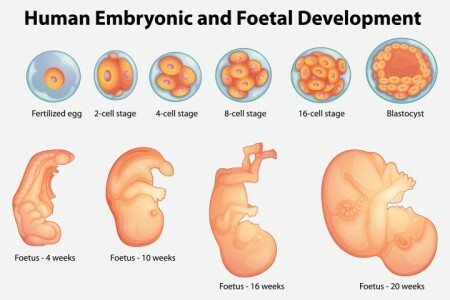 Once past that time, the Embryo changes to a Fetus and will stay that way until birth at which time the Fetus passes through the birthing canal and then officially becomes a Baby. Although you will feel many things happening that confirm your pregnancy, most people will not yet be able to see from appearance that you are pregnant. At first, you will not gain much weight, and even though you will soon see small changes in the size of your abdomen, it will not be enough for people to notice. However, on the inside, your body is changing rapidly and the embryo is growing at an amazing rate, with changes taking place daily. This is the most significant phase of a pregnancy for a number of reasons. During the first trimester, you will only gain approximately three pounds, with less than two ounces of this being the fetus! 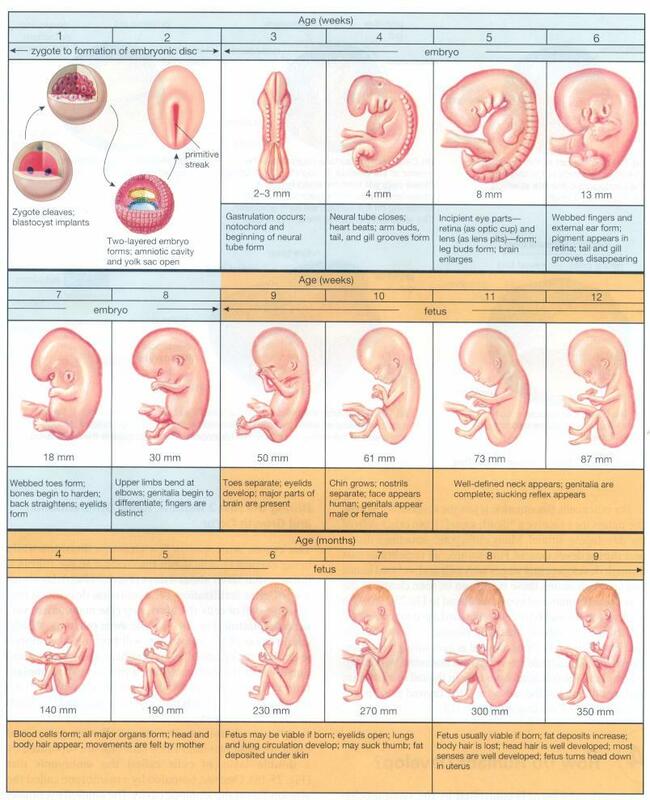 Most of the weight will be the placenta and amniotic fluid, which surrounds and protects the fetus. Some of the weight is also be attributed to your increased blood supply, which is needed for your heart to support the growing fetus and can be as high as a 20% increase. Additionally, your uterus is now expanding as it accommodates the growing fetus. 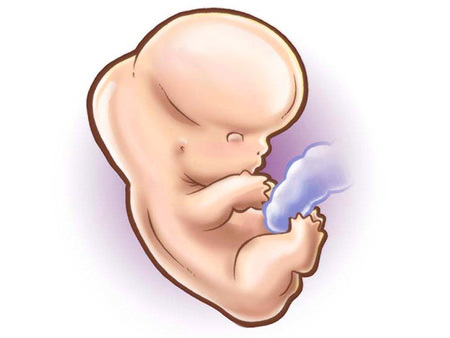 By your seventh week, the embryo has doubled in size from just the week before. It’s about as big as a small bean. Already, it resembles a microscopic baby with a brain, heart, and limbs. Its head is nearly as big as its body, which has some catching up to do. Your health care provider may suggest an ultrasound; this procedure is considered to be safe for the developing fetus. In addition, an ultrasound done today may even be able detect fetal heart motion. Although you may not feel your best, none of your symptoms will make the baby uncomfortable. In fact, your indigestion has a positive effect on your baby-to-be. Food slows down as it travels through the body, which may result in gastrointestinal problems for you, but allows nutrients to be more readily absorbed by the baby. Wearing loose fitting clothes, and eating frequent, small meals may help to decrease your discomfort. By nine weeks, your baby has grown to between one half an inch to an inch. It now weighs in at a whopping one gram. Even though you won’t feel the baby move until the second trimester, he or she is very active at this point. It is, in truth, a “he” or “she” as testes and ovaries have formed. An ultrasound cannot identify gender yet, as external genitalia still appears sexless. Because most miscarriages occur in the first trimester, you may be feeling nervous and be eager to advance to the second trimester. One good sign is the identification of the heartbeat, either by the practitioner’s doppler, or by ultrasound. Your doctor will want to do several tests during the first trimester, including a Pap Smear, Rubella screening, blood typing, and Rh factor. These tests are performed to look for any possible complications and to provide both you and your baby with the best possible care during your pregnancy. 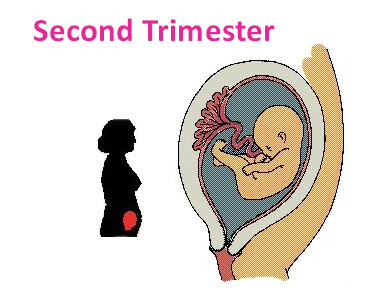 The first trimester will progress quickly, with some major changes happening to you and your fetus. The calendar here will show you the miraculous changes that are occurring during the first trimester. Keep this information close by as reference so you can continue to marvel in your pregnancy. The first trimester can be trying, both physically and emotionally. Appreciating that your body is responsible for this incredible feat of baby development, from organ formation to complex brain circuitry, makes it all worthwhile. In just a few weeks, you’ll be reacquainted with two old friends: energy and enthusiasm!